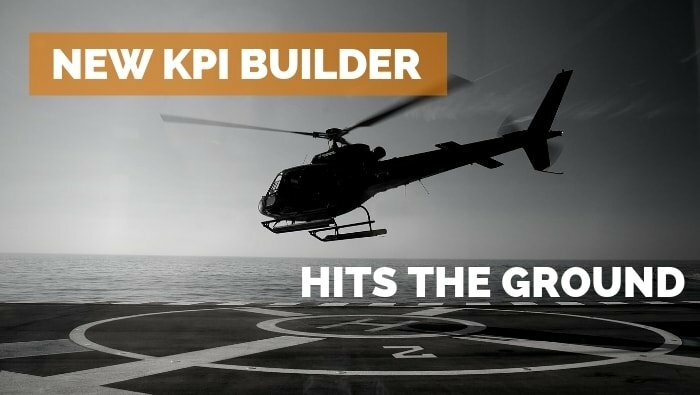 The KPI Builder is our last major feature to move from the desktop application to the browser app – and it’s here now! Last month we released Metrics to record your non-financial numbers, then in mid-January we added Account Groups and this week KPI Formulas went live. While our default KPIs are good for many businesses, there is often a unique set of numbers that drives your particular business and tells you how well you are doing. Calxa Premier users can now create their own KPIs using a combination of Account Groups and Metrics. You’ll find KPIs under the My Workspace menu. What is an Account Group? An Account Group is simply a collection of accounts that you want to use in a calculation. In a restaurant, for example, you may want to monitor staff costs relative to income. You could create an Account Group for Staff Costs and include all the accounts that relate to restaurant wages, including on-costs such as superannuation and overtime, if that’s recorded against a separate account. If you’re using the same KPI over a number of companies, you just define the accounts for the Account Group in each company so you can just have one KPI formula. One new feature we’ve added is the ability to view your accounts using one of your own Account Trees rather than the default chart of accounts layout. If you’ve already created an Account Tree with a heading for Staff Costs, you could use this to quickly find the relevant accounts for your Account Group. How do KPI Formulas work? Formulas combine Account Groups and Metrics to produce some sort of numerical result. Often, it’s one number divided by another to give a ratio or percentage (such as Staff Costs/Total Income or Total Income/Number of Customers) but you’re not limited to that. You can add and subtract as well and a good example of that is the calculation of EBIT (Earnings Before Interest and Tax). To do that calculation Create an Account Group for Interest and Tax and then a formula that adds that to Net Profit (that’s one of the pre-defined groups). When creating your formula, you can now specify a Target, to say whether it’s better to be higher or lower. We use this in reports displaying a variance to then show the variance as either a positive number (favourable) or negative number (unfavourable). As an example, the Target for Staff Costs would be “Lower is better” but for Average Sale Value, it would be “Higher is better”. While many of our customers only have a handful of customised KPIs, some, particularly accountants who might be dealing with many customers, have a long list of them. Soon you will be able to group your KPIs in categories. There will be some suggested categories for the default KPIs but you can add more to suit your own needs. All you will need to do is drag your KPIs up and down within the category to determine the order they appear on your reports. This will be a big improvement on the alphabetical listing we’ve had in the desktop application and will put you in control. We will be making improvements to the formulas so that you no longer need to incorporate an ‘If function’ to test for ‘Division by Zero’ errors. We will automatically do that behind the scenes and will display ‘N/A’ in the result if we can’t calculate it for any reason. We are also working on the option to include other KPIs in a formula. This will make it simpler to construct and read more complex KPI formulas. You’ll be able to break up the KPIs, do intermediate calculations and then bring them together in a concise format. You can see that we are making some major changes, so watch this space! As always, your feedback is both welcome and valuable. Let us know what you like, what you don’t like and that will help us improve the experience for you – and save you even more time.